This ArmorKote cover is built to last! Constructed of only the strongest Super tough woven triple-laminated polyethylene. 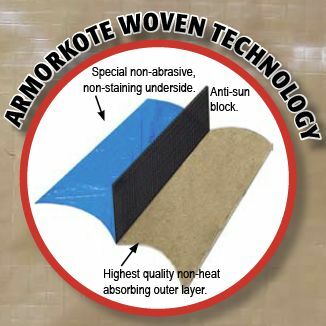 ArmorKote has the heaviest, strongest and most tear resistant material we can find. 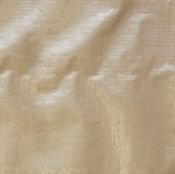 This cover features rugged polypropylene thread as well as UV-protected fabric that withstands sunlight without weakening. The Blue underside of the cover retards algae growth. Our big 5-foot overlap keeps your cover in place during winters worst. This rugged cover is built the best so it is backed by a 20-year warranty that is 5-YEARS FULL RATED. Invest in America´s best warranted winter cover . 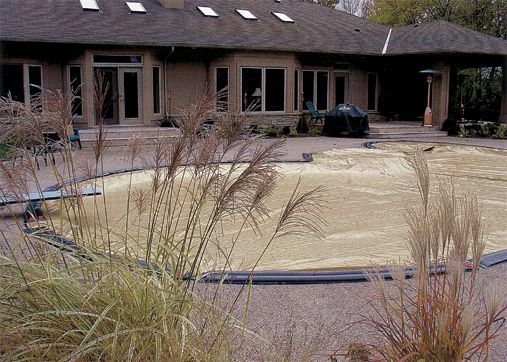 Water Tubes Water Tubes are the best way to secure your in ground swimming pool's winter cover through any inclement weather. 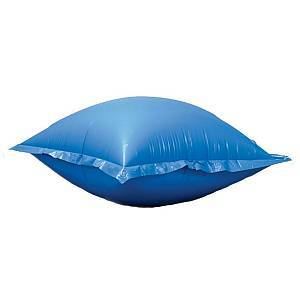 Heavy duty double chamber water tubes are made of tough 16 gauge material; won't tear or rip like most bags.